Naturally and effectively PREVENT, REDUCE, and RELIEVE kidney stones! 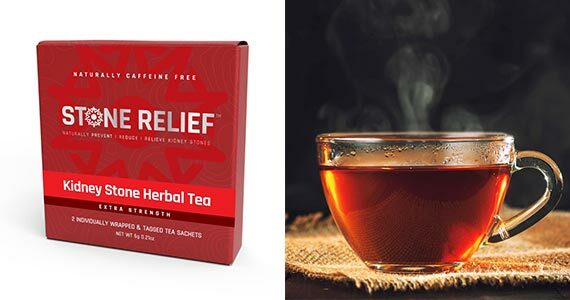 Right now you can grab a free sample of Stone Relief Herbal Tea to help relieve kidney stones and other complications. Stone Relief Kidney Stone Herbal Tea (Regular Strength Formula) contains 1.5 grams per sachet of a powerful all-natural blend of raw Chanca Piedra (phyllanthus niruri) “Stone Breaker,” raw-organic Dandelion Root, and freeze-dried raw lemon pieces! Daily use of this kidney stone herbal tea provides the best chance of preventing future kidney stone formation, reducing the size of current kidney stones, and relieving associated pain as kidney stones pass. Use twice daily for even stronger results or when passing a stone. To sign up for this freebie, click through and enter your shipping information.